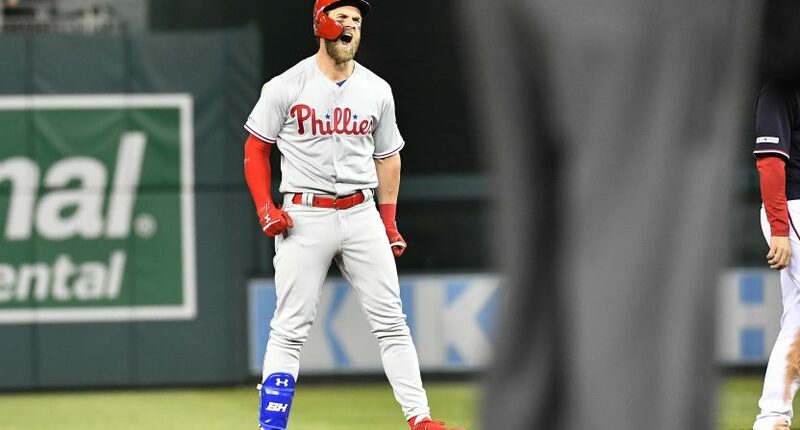 Just a week into his Philadelphia Phillies career, Bryce Harper returned to Washington D.C. to face a Nationals team he spent the past seven years with. Harper heard plenty of boos from Nationals fans, as if those people wouldn’t take $330 million in a heartbeat to change jobs or job locations. But Harper got the last laugh in Philadelphia’s 8-2 win. In the top of the eighth, the 26-year-old slugger crushed a Jeremy Hellickson pitch 458-feet to the second deck in right center field, and included a beautiful bat flip. That’s already Harper’s third homer of the season, and he hit an even longer one on Saturday (465 feet). Oh, and the Phillies are still undefeated at 4-0.